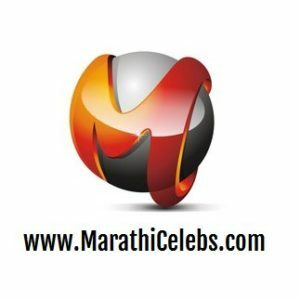 Prathamesh Parab is a well known face for all the Maharashtrian viewers but this wonder boy has proved himself in Bollywood as well. After the huge success of ‘Drishyam’ and ‘Khajoor Pe Atke’ Prathamesh Parab is all set to come up with his third upcoming Bollywood film ‘Anya’. Anya’s teaser has recently launched and is grabbing everyone’s attention. Prathamesh is playing a different role in this political romantic thriller film. Here Prathamesh will be sharing the screen with popular actors like Atul Kulkarni, Bhushna Pradhan, Raima Sen, Govind Namdev, Tejashri Pradhan and Krutika Dev. Anya’s teaser is not the only reason for all the attention. Prathamesh Parab’s dialogues are proving to be the centre of attraction. His dialogues like “Khana Kha Lo Varna Goli Khana Padega” and “Kaam Kya Hai Bata” are establishing his impression with his unique style. Prathamesh Parab’s fans are happy with his new venture and are eagerly waiting to enjoy his performance in ‘Anya’. Prathamesh always steals the spot light with his performance and audience admires his work. After ‘Drishyam’ and ‘Khajoor Pe Atke’ this is going to be Prathamesh Parab’s third Bollywood film, which proves he is praised in Bollywood as well for his acting. Prathamesh has started his new year with Anya and it will be releasing in May 2019. Anya, Prathamesh Parab, Maharashtra’s Wonder Boy, Prathamesh Parab’s Bollywood Hat-trick With Anya, Atul Kulkarni, Bhushna Pradhan, Raima Sen, Govind Namdev, Tejashri Pradhan, Krutika Dev, Upcoming Film .